trillian_stars has rehearsal all this week for her new show at the Constitution Center so Roswell and I are using the opportunity to get back in the kitchen. We wanted to be able to make some bulk things that she could pack for lunch (and possibly dinner) every day -- things that invite grazing in between scenes and that will mix well with other things and also things that are served cold and make you think of being cool (since it's really hot out). 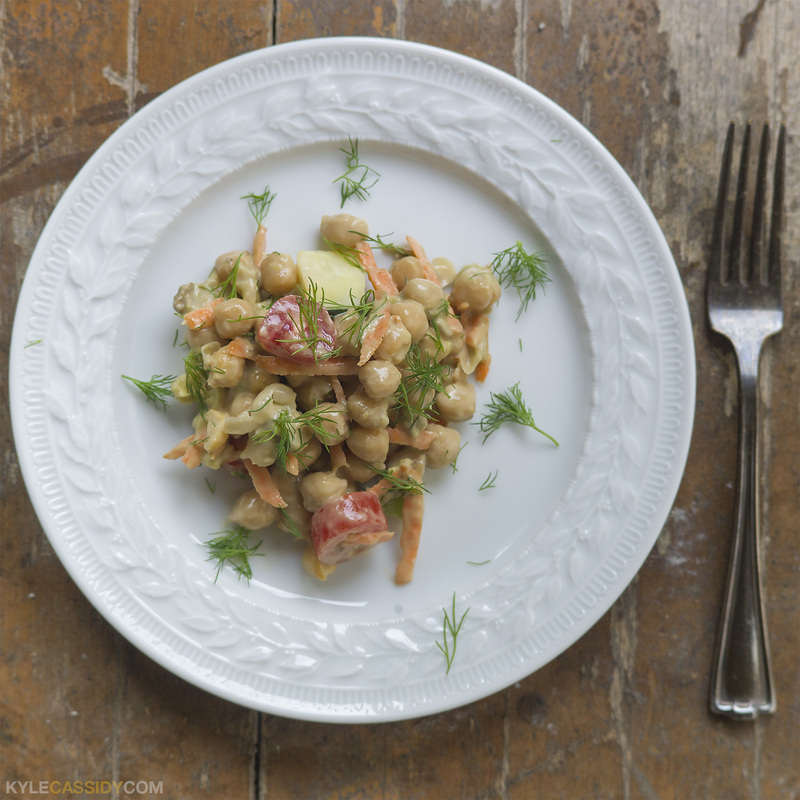 Yesterday we cooked about three pounds of dried chickpeas in the slow cooker and today we mixed that with avocado, cucumber, cherry tomatoes, sunflower seeds, shredded carrots and some fresh dill. For some reason, dill seems to make things seem summery. Now we are off to fix the dehumidifier. Roswell inspected! You may Clickenzee to Embiggen! Awww...Roswell! 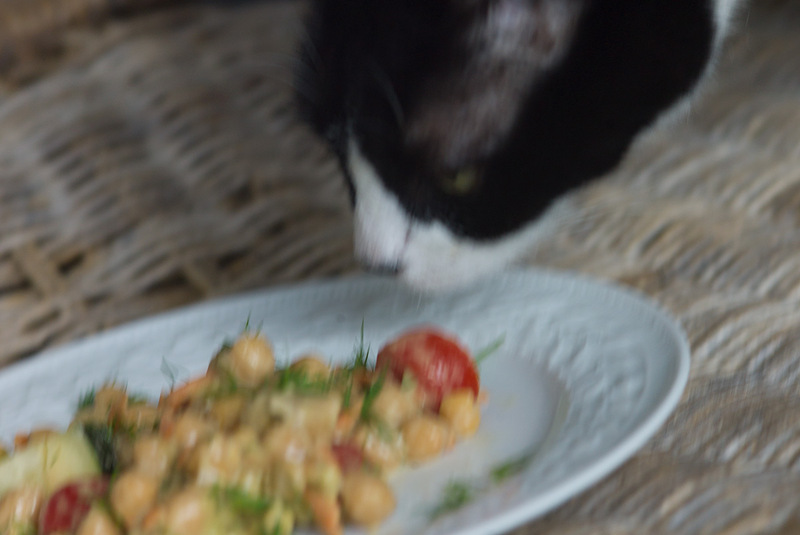 And that chickpea combo looks delicious. Substitute quinoa, and add a sprinkle of lemon pepper and you have my lunch and dinner for the day. Quinoa is one of those fabulous hot or cold kind of foods. Quinoa AND chickpeas this week! I made a breakfast quinoa - you can cook it similarly to oatmeal and it's delicious. My 3 year old loves it as much as I do! Today's cooking adventure will be chicken curry with coconut milk, in the slow cooker. I've been thinking about you, noting your absence - I hope things are good on all fronts (Roswell, running, work, the rest of life).